In addition to this article’s title, we could probably cram at least fifty more puns into the text, but that would distract us from the subject matter (possibly another pun), which happens to be one of our favourite interior design features: the humble bookcase. It’s incredible that an item which should, in theory, ruin colour schemes and challenge most design styles, remains a powerful visual display. It’s even more impressive that in the e-book era, the bookcase continues to be a consistent inclusion in most homes. 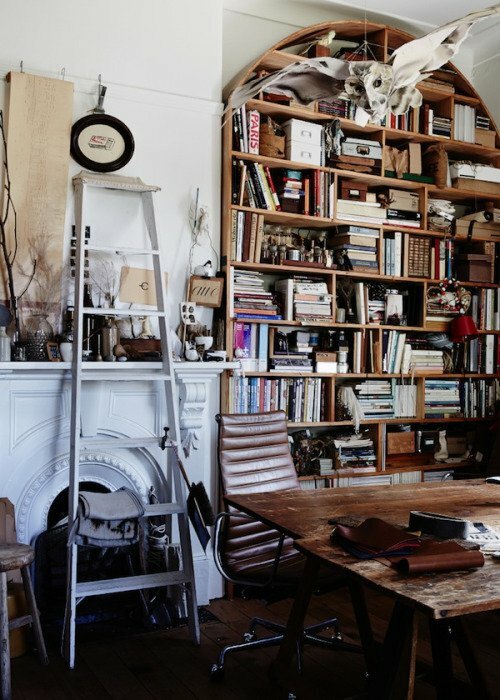 The reason for the bookcase’s stubborn refusal to die isn’t the significant amount of readers who simply prefer the feel of a printed publication in their hands; it’s the fact that a bookshelf adds to the look of a space while suggesting nostalgia, sentimentality, culture and personality. In the Modern Eclectic home, a wall dominated by an extensive book collection perfectly suits the type of character we’d expect to find in the environment. In fact, printed words are such an integral part of their lifestyle that built-in cabinets are the most effective way of displaying all those soft and hardbacks. Built-ins not only add value to the property, but also frame architectural features. If you’re afraid of losing that Modern Eclectic sense of clean and open space, make sure you match the colour of your built-ins with the wall. If there’s a design style that can be communicated effectively by the addition of a bookcase, it’s Vintage. In fact, it’s probably compulsory to include at least one large bookcase. A lot of effort can go into expressing old world values and craftsmanship, but an impressive set of classics does the job effortlessly. Suddenly we achieve a sense of warm nostalgia as we’re reminded of old library shelves. 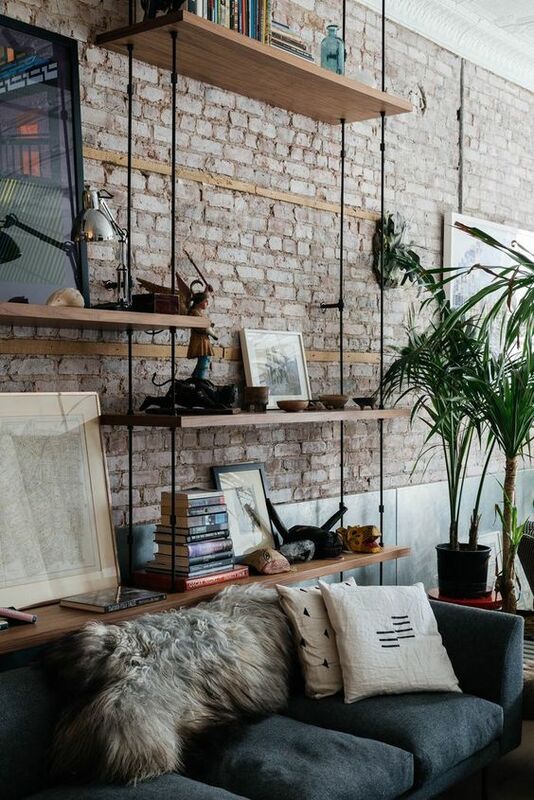 You can also try floating shelves, which make your presentation of books feel more like artwork. 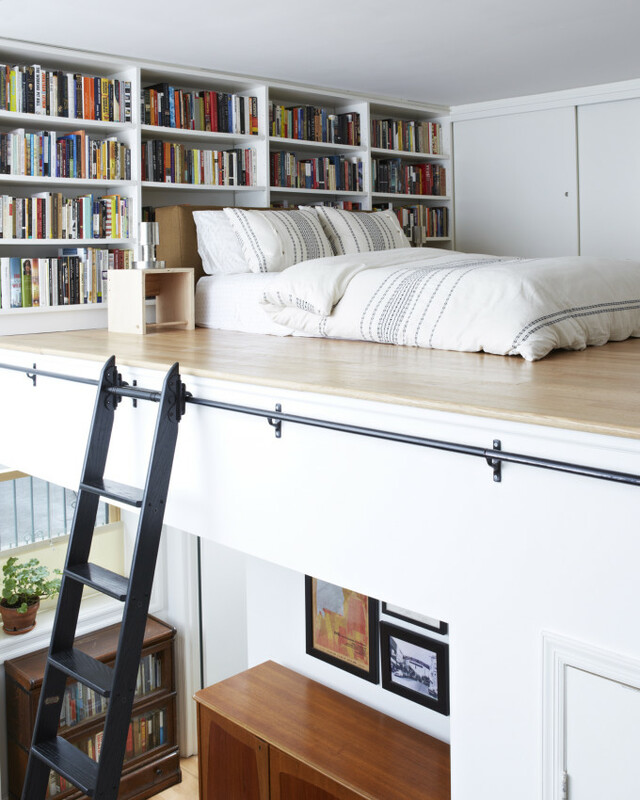 Over the past few years we’ve seen books displayed in increasingly intelligent ways as homeowners use functional design to achieve compact living. Once driven by practicality, the art of using every possible square centimetre of space has become a feature. We’re seeing bookcases become walls and bed heads as homeowners utilise every nook. 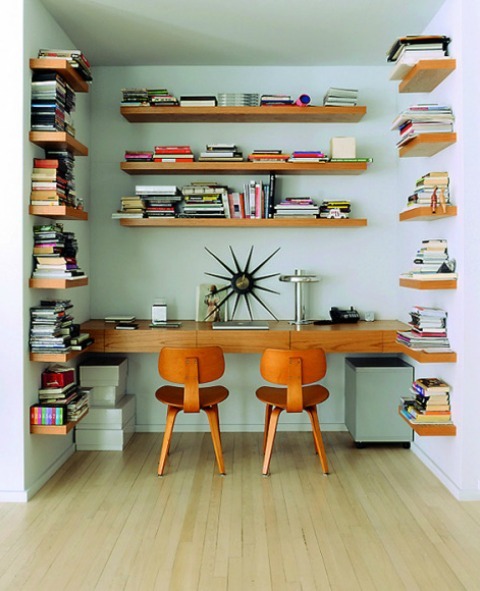 The warmth books add to the feel of a space is undeniable, so there are few examples of bookcases looking out of place. If your design is Industrial, choose materials for your cases that reflect your home’s style. You’ll want finishes that tap into the edgy, raw energy your space projects. Regardless of the barebones appeal of your interiors, harmony is still important. 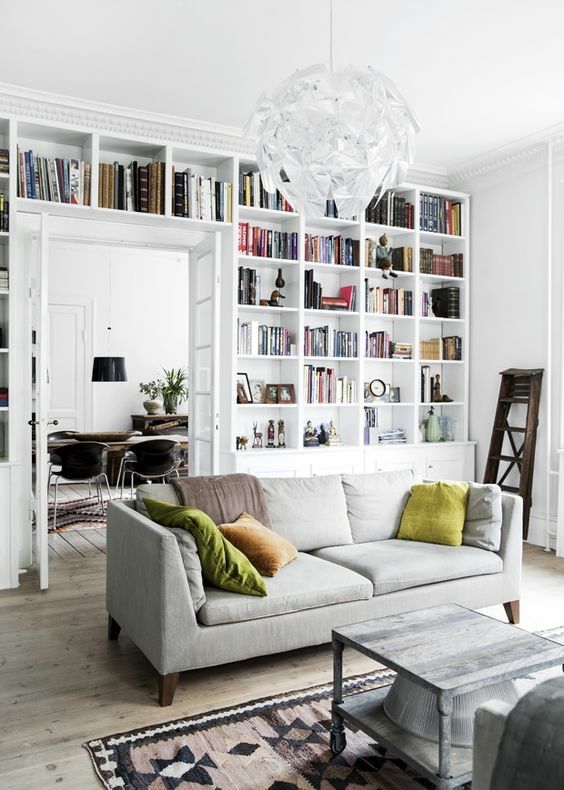 Consider layering furniture items, and place a sofa in front of the bookcase to add dimension. 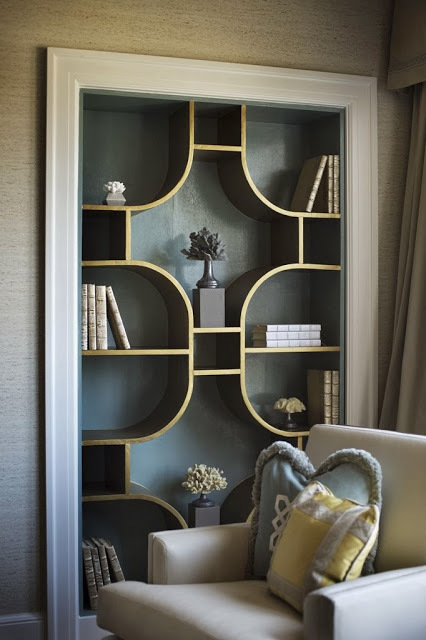 As you can see from the example we’ve included, it’s definitely possible to find bookcases with a truly Luxe appeal, so if you’re aiming for elegance, don’t feel limited by your choice of cases. Take the time to find an ornate item that will add rather than detract from your design. Bold use of patterns and shapes should be consistent with your style, and colours must help the case feel integral. 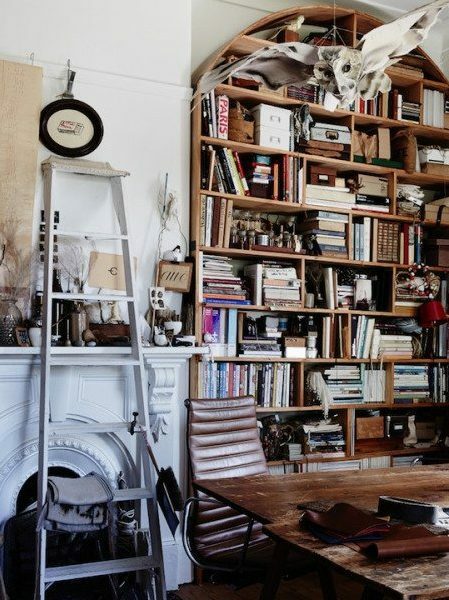 If Vintage needs a few dusty tomes on display, Boho is the other style that demands the use of bookshelves. Everything about an impressive bookcase is consistent with Boho, which suggests an open and furtive mind; one that is certainly well read. In an open plan space, use your bookcase as a divider to create a little intimacy, and remember that unlike other interior design styles, you can be bold with colour, as long as you’re consistent. Finally, the Boho lover will garnish the shelves with keepsakes from travels and sentimental items, in line with the style’s disregard for convention. 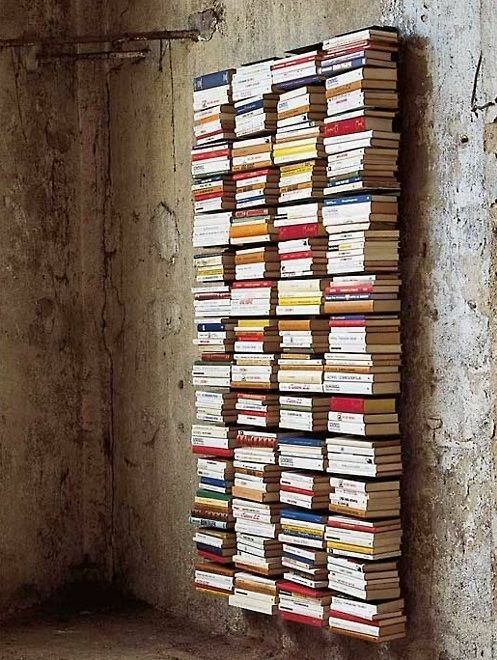 There are many good reasons why we hate throwing books away. They’re significant parts of our past that link us to characters and atmospheres. They’re the items that have unlocked our imaginations since we were children. But don’t underestimate their beauty. Whether individual or part of well presented collection, the humble book’s aesthetic appeal is here to stay.